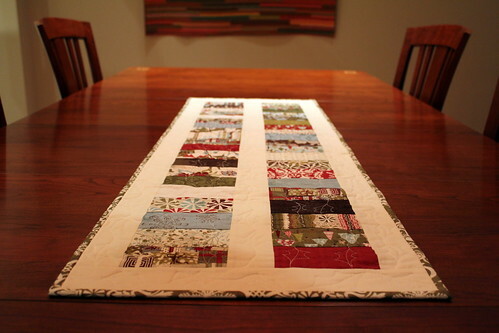 This Christmas table runner is one of my projects from last year. I made two of them at the same time and gave one away as a gift. Sometimes, it doesn't take much more effort to make two things than it does to make one, especially if it is a small project. This quilt pattern is generally called a "coin", as the stacking of fabric strips is reminiscent of the edges of stacked coins. 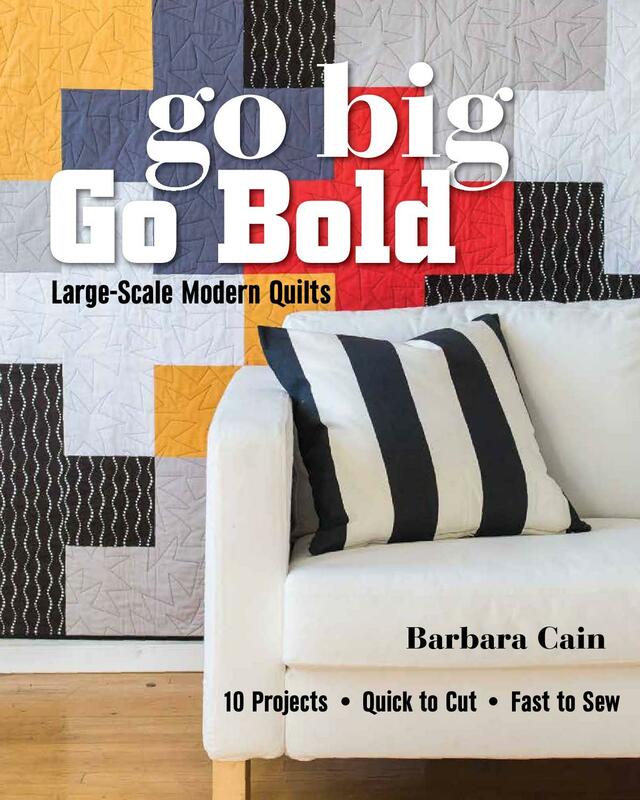 I once saw a very attractive coin quilt of sorts made with both short and long, and fat and thin strips. It was entitled "Foreign Currency". I thought that was pretty clever. This runner has uniformly sized "coins", halves of 5" charm squares to be precise; the other halves were used in the twin runner. The charms were from Basic Grey's Figgy Pudding collection. The backing and binding yardage are of the same. 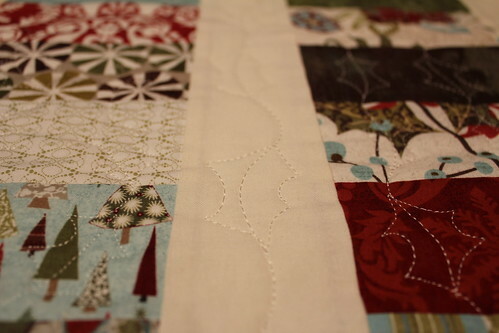 The jelly roll sashing is Moda, Bella Solids in Snow. 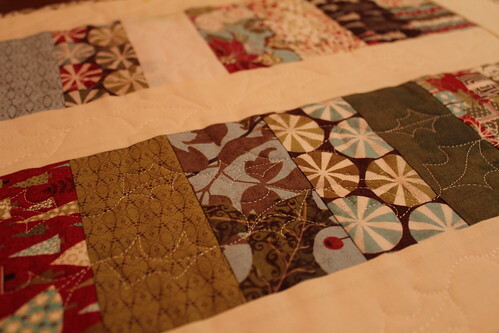 The quilting on this runner is a very simple free motion holly leaf pattern. It is important to draw your free motion designs on paper a few times before attempting them with the machine. I have learned this the hard way as I do most things. 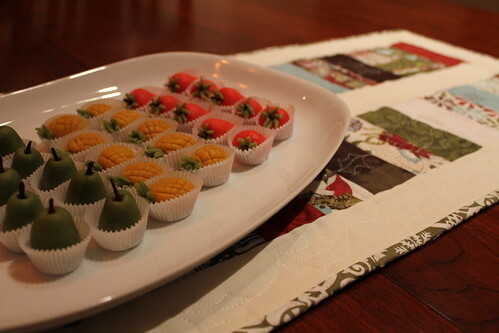 I made some marzipan fruits today, they look right at home on my runner. Beautiful runner! Great variation of Chinese coins. Lovely design and great for any month of the year, not just Christmas! Would love to make this! Is there a specific pattern you followed? Hi Angela and Jina. I did not use a pattern for this runner but it was really easy to make. The Printed fabrics came from a charm pack of 5" x 5" squares. I cut them in half then sewed the halves to one another. I used jelly roll strips for the sashing and that's all there was to it. Easy peasy!